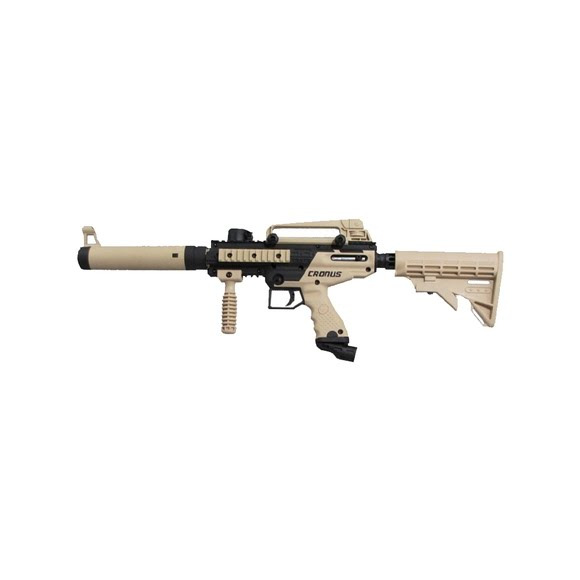 The new Tippmann Cronus Tactical combines high performance with incredible durability in a milsim body. The Cronus features our reliable in-line bolt system in a high-impact composite body with soft over molded rubber grips. Three main mods, including a mock silencer, carry handle, and adjustable stock, help complete the military look.